Here at HOC, we believe that staff development begins with candidates who are eager to build their leadership experience within our summer camp community, and who show strong initiative. The Leader in Training (LIT) program is ideal for any male or female who has just completed grade 9 and is looking for a multi-week program that can help them start the process of transitioning from activity participation to activity leadership. The ideal camper for this program is interested in enjoying the fun and excitement of summer camp for the first week in our senior section, but then is ready to develop and work on their leadership skills over the second week of camp. 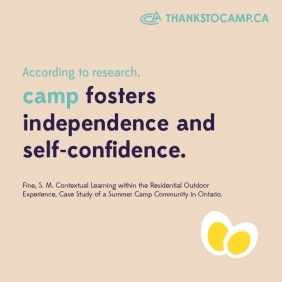 This program is ideal for campers who want to develop these skills in order to possibly work at camp or in their community or participate in school organizations in a leader capacity. The LIT program provides candidates with an introduction to the 4 core principles ( Community, Leadership, Accountability, and Performance) This is achieved through character building and leadership training that they can use in any leadership position. Candidates familiarize themselves with different leadership styles and further experience the many principles and skills required to be their own great leader. Skills that are reviewed include time management, role models, self-confidence, communication, organization, and goal setting. Although they are given many tools to get them started, candidates are also given independence to express their own personal style and positive attitude. Please note that LITs do not have the opportunity to skate or assist on-ice activities at the rink during this week. Candidates then get to experience (through observation) how these leadership skills work within the structure of our own HOC summer camp community and the various job responsibilities and expectations. Participants in the LIT program will have the opportunity to earn their Emergency First Aid & CPR, as well as their Bronze Medallion Certification through the Royal Life Saving Society. These certifications will better prepare them for the CIT program and a potential future as an HOC staff member. NOTE: LITs will complete their First Aid Training during their Camper Week (one hour per day of training). Each LIT will be given a final written evaluation to take home, based on their personal leadership achievements and performance over the week. The program is based on a two-week session designed for candidates aged 14/15 who have completed at least grade 9. During the first week LITs will participate in camp programming in our Senior Section (choice of Overnight Hockey + Camp, Overnight Camp or Overnight Waterski Program, program cost vary), enjoying all the features and fun HOC has to offer. As noted above, LITs will complete their First Aid Training during their first week in our Senior Section, for one hour per day. During the second week, LIT candidates make the distinct transition from camper to leader. They are housed in separate cabins from Senior section campers and their focus shifts from camper to leader. The second week consists of in-class leadership sessions, activity assists, practical teaching instruction, journal writing, staff observation assignments and an overnight camp out. Opportunity to earn up to 10 community service hours. Note: some School Boards may not authorize hours to be completed at HOC. Please check with your School Board to determine eligibility criteria. Review program features and schedule to determine if the program is the right fit for you. Determine your preferred Camp + LIT Week (view our Calendar & Availability here). You will then need to register for your preferred Camp Week + LIT Week in the Campsite Parent Dashboard. You can create a new account or log into an existing account. Follow all enrollment prompts, and select your desired LIT Program Session. You will be required to review and submit a Program Agreement Form and Participant Expectations Form before submitting your enrollment request. Your spot in the program is not finalized until the request is confirmed by an HOC Administrator. Please Note: LIT Enrollment Requests are reviewed on a first come first serve basis, so register early to guarantee your preferred LIT Week.